JPL Shellfish bringing Scotlands Finest Shellfish to Europe and Asia. JPL Shellfish have customers across Europe including France, Spain, Portugal and Holland and are always looking to expand their customer base. We also have customers in China, Singapore and Hong Kong. 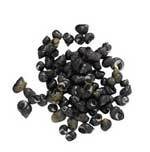 Peri-winkles are small marine snails that are found in large numbers along the rocky shores of Scotland. They are part of the same category or phylum as other edible sea treats such as scallop, clam, oyster, and mussel. Periwinkles feed mostly on algae and seaweed, which are high in protein, and have a very delicate taste. Packaging: The winkles are washed before being packed into 25kg net sacks for transportation. We also offer them packed in 5kg and 10kg bags. Packaging: Crab can be supplied in 300kg insulated bins for delivery direct to processors or to export markets in 10-15kg polystyrene boxes packed with seaweed, wet newspaper and ice packs. Scottish lobster is world famous for its flavour and is even more sought after than its American cousin. It is strong and when well packed travels live to any destination. The European clawed lobster has a dark, almost blue tint to its shell, but when cooked, the lobster shell will take on a vivid coral color. Our lobster is caught in traditional pots, landed and packed to the customers requirements before dispatch. The lobsters are packed in 10kg polystyrene boxes with seaweed, saltwater-soaked newspaper and ice packs.